In web design we continue to see the shift away from unique site aesthetics towards a heightened focus on usability. UI pattern libraries and style guides will continue to grow as user’s experiences become more predictable and efficient. However, with the rise of pattern libraries also grows the fear that the web will become visually monotonous, with UI designers growing uneasy at their desks as UI choices become increasingly standardized. Generally speaking, web designers can expect to be more involved in strategy rather than visuals. The ongoing explosion of prototyping web apps indicates the sheer demand for prototyping and interaction design tools. Marvel, Invision, Proto.io, UXPin. These tools have a relatively low learning curve and are reasonably priced with drag and drop functionality that link mockup to mockup to illustrate a UX scenario. We will most likely see the growth and adoption of these tools continue to rise in 2017. However, transitions and animations remain fairly limited, thus tools like Keynote and more complex, industry standard tools such as Adobe AfterEffects still reign supreme for designers looking to create transition animations. Chatbots, virtual assistants, and invisible apps that run on apps like WeChat, Slack, Amazon Echo or Facebook Messenger are a quickly evolving example of the trend toward more personable interfaces. With technology evolving and language recognition/processing improving, we are on a path that could make interaction with digital services more intuitive, accessible and personable than ever before. Virtual assistants that live inside messaging apps could help us arrange trips and appointments, even do our banking, all powered by chat. Companies like Operator already offer their services via SMS or Facebook Messenger, creating conversational online ordering experiences that make ordering online as easy as chatting with a friend. VR and AR are undeniably here, but we are still in the early stages of exploring these technologies. How we navigate and orient ourselves within them is still largely being shaped and 2017 will be the year of a new field of opportunities for UI and product designers adding the 3rd dimension to their repertoire. Microsoft has big plans for VR and AR in 2017 after announcing earlier in 2016 that it would be opening up its Holographic platform to other device makers, and we can expect to see mid-range VR-ready laptops sometime in the coming year. All of this means that designers can expect to be thinking about and interacting with this other dimension a whole lot more in the coming months. 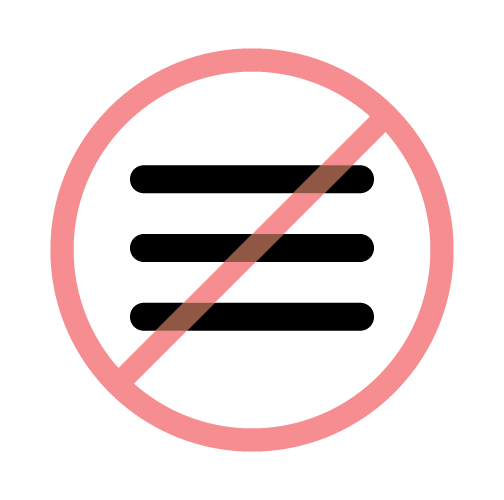 Hamburger menu hate continues to proliferate and 2017 will likely see the rise of a greater number of tab bars and priority + menus being implemented across not only mobile apps, but responsive websites/web apps as well. If you’re late to the party, check out why this long beloved menu has fallen on the bad side of UX and UI designers alike, and why it’s likely to be replaced by alternatives. For the oversimplified explanation, it basically boils down to, ‘out of sight, out of mind’ and it’s based on data. When designers and developers meet, great things can happen. Especially when they collaborate effectively, they can be a formidable team. Both come with an impressive set of skills, each know something that the other doesn’t and conversely, each do not know things that the other does. The potential that the two groups have when the two come together and click can be incredibly powerful. The real trick is communicating more clearly, more often, in greater detail and remembering that one doesn’t have the same body of knowledge or assumptions as the other. As agile development becomes the new norm, designers and developers are beginning to work closer together than ever before, in increasing numbers and this growing, collaborative space will likely result in innovative new products and services in the coming year. For better or for worse, the Internet has shifted from its decentralized roots to a centralized design due to ease of use, management and profit. Google can provide a more reliable e-mail service than your local ISP and Dropbox is easier than setting up RAID servers. For many people, companies such as Facebook and Google are the Internet. Many wonder how we arrived at such an industry concentration of a system like the Internet which is based on distributed processing, routing and peer connections. 2017 will likely bring an increase in the centralization of the web, leading to fewer apps, less fragmentation and greater integration. Journey maps and user-flows in UX Design provide a map of all a user’s touch points throughout their entire experience with a particular product or service. They’re designed to illustrate the happy path to goal conversion and generally have the ideal user in mind. But what about those who fall outside that category – the non-ideal users? 2017 will most likely see the rise of more failure mapping, the process of applying historical data to create a user journey map showing how failures occur – instead of just focusing on the goal conversion. Failure maps observe cycles of ongoing failure patterns to prevent further failures where possible or to minimize their impact when they occur. Ultimately failure mapping could potentially grant UXers a better understanding of non-ideal scenarios, helping to anticipate and model them. Though it may come as no surprise, users are non-linear. We are meandering, distracted creatures that carve our own paths through the world as well as the Internet. So why do we design as though we are naturally inclined toward being herded from one step to the next? Over simplicity doesn’t necessarily result in greater usability and users don’t want to be herded from one screen to the next like cattle. We like to make decisions, navigate sideways, backward, forward and take divergent paths to a desired outcome. 2017 will honour the intelligence and nature of the user by designing for non-linear user experiences. Heroku + Gradle + DropwizardShould I Build an App or a Website?